More proof I'm a mad packrat: I couldn't bear to throw out a batch of perfectly good skin tone left over from my demon girl, so I bumped "Grumpy Dude" to the top of the pile just to have something to paint with it. 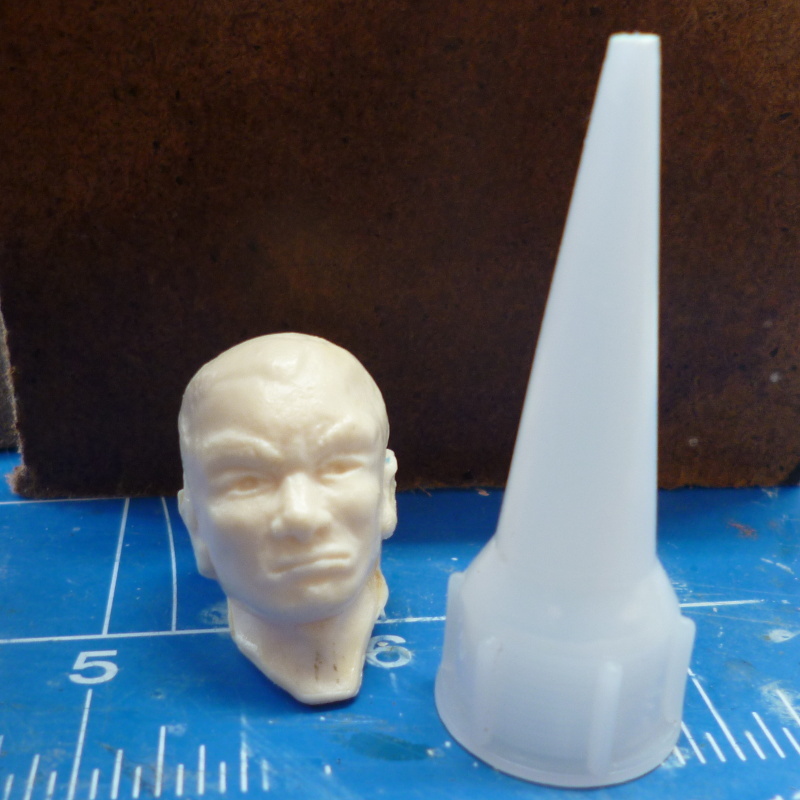 I made a quick and dirty cast of the nozzle that came with a tube of putty, and stuck the head on that, turning it into a sort of minimal bust. So, a quick sweep of sandpaper once the epoxy is hard, that a quick blast of primer and base colour, and with any luck, he'll be ready before that paint dries out. Grumpy Dude is beginning to come alive. Still not a happy character, by the looks of it, but he seems to have gone from grumpy to worried somehow. The Grumpy Dude is finished. 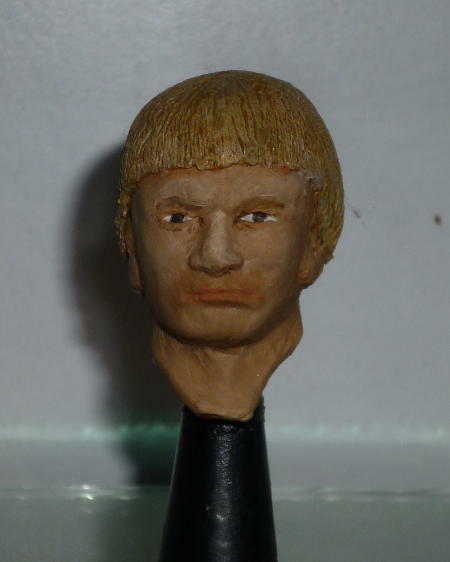 The rather primitive hair style (is it even deserves the word 'style') made me think he looked ealy mediaeval, and the chap who donated the head to my spares pile immediately volunteered he looked like some Roman emperor, so I'm guessing he would have been stylish between one and two thousand years back. Good enough..